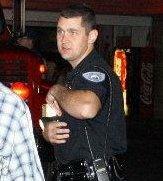 Officer Kevin Ward with the Livingston Police Department (file photo). Driver Who Evaded Police Caught Over Three Months Later, LIVINGSTON, June 28, 2011 - On April, 5, 2011, Officer Kevin Ward with the Livingston Police Department was patrolling in Livingston when he spotted a gold colored Ford Taurus run a red light. Officer Ward attempted to initiate a traffic stop when the driver chose to evade. A chase ensured and the driver abandoned his car near the Polk County Office of Emergency Management and fled on foot. LPD and other branches of local law enforcement established a perimeter, but the driver still managed to escape. During the search for the driver, Shala Criswell, 22, of Livingston, reported her car (the gold Ford Taurus), stolen from the parking lot of Wal-Mart. LPD initiated an investigation and was not getting cooperation from Criswell. Evidence, and Criswell's story, did not corroborate. After reviewing security footage at Livingston Wal-Mart which included the entire parking lot, and footage from inside Wal-Mart, it was easily determined that she never was at Wal-Mart like she stated to LPD. Other evidence she provided to LPD wasn't adding up. It was determined that Criswell was lying to police and a warrant was issued by LPD for filing a false report to police. Criswell was arrested in Onalaska on a routine traffic stop by Onalaska Police on May 22, 2011. On June 17, 2011, an anonymous informant came forward to report who the driver of the vehicle that fled from Officer Kevin Ward on April the 5th. The informant provided detailed information about the suspect that totally corroborated with police evidence right down to an orange and white tennis shoe that was left at the scene when he initially fled from police on April 5th. The informant provided further information on the whereabouts of the suspect and where he resided. The suspect was identified as Michael Shane Dirden, 20, of Livingston. Through investigation, LPD found that the two (Criswell and Dirden) were acquaintances. Information provided to LPD showed that Dirden was residing at a residence in Lakeside Village. On June 27, 2011, Officer Kevin Ward (backed up by officers with LPD) arrested Dirden without incident at his residence in Lakeside Village. 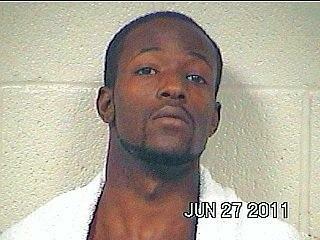 Dirden has been charged with evasion in a vehicle (a felony), and Officer Ward got his man. Michael Shane Dirden, 20, of Livingston was charged with evasion in a vehicle (a felony). 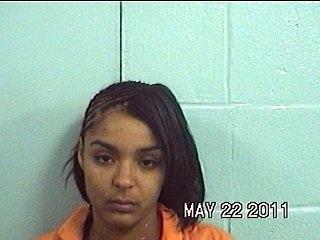 Shala Criswell, 22, of Livingston was charged with filing false report.